The Samsung Galaxy S8 is one of the prettiest phones you can buy right now, but it launched as a somewhat incomplete product. Bixby, the phone’s new digital assistant, doesn’t yet have one if its key features—voice recognition. This shortcoming wouldn’t be so obvious if only Samsung hadn’t included a new button on the side of the phone meant to launch Bixby. Thanks to some creative geekery, however, the seemingly useless button now has a purpose. Crafty new owners of the Galaxy S8 are reprogramming the Bixby button to launch various apps, including rival digital assistant software like Google Now. There are several ways to do this, but the easiest by far is by using apps like Bixby Button Remapper, BixRemap, Goodbye Bixby, and Bixby Remap—all of which are available for free download in the Google Play Store. The apps essentially let you reprogram the Bixby button so that it can perform almost any task you’d like. That means that you can have it launch other apps, like the camera or flashlight—or you can do something as useful as reprogramming it to launch Google Now (not to be confused with Google Assistant, which is only available on certain phones). With its intelligent interface and contextual awareness, Bixby will make your phone more helpful by assisting in completing tasks, telling you what you’re looking at, learning your routine and remembering what you need to do. The Bixby button is dedicated to activating these features, starting with Bixby Home at launch and expanding to Bixby Voice later this Spring. There has been great deal of interest in reprogramming the Bixby button since day one. Popular gadget reviewer Marques Brownlee (aka MKBHD) issued an unofficial challenge to Android fans on launch day to anyone who was able to hack the Bixby button to launch the rival assistant product Google Assistant. 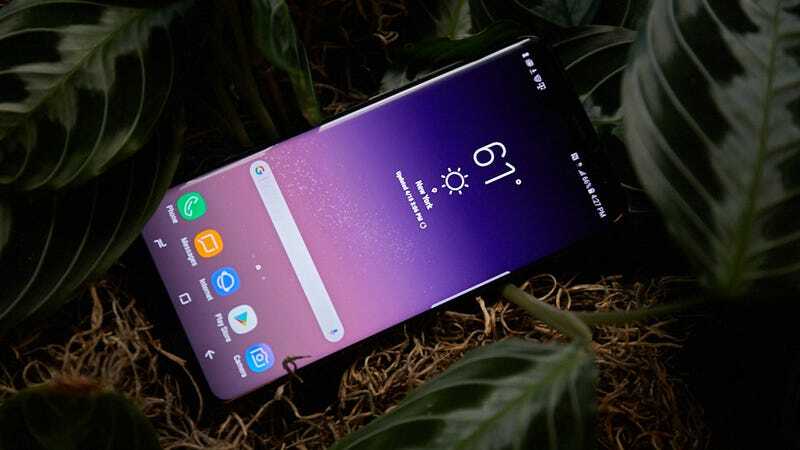 The ability became possible in less than a week after his challenge through the All in One Gestures app, but Samsung reportedly eventually disabled the ability. But quite frankly, who can blame Galaxy S8 owners for wanting to get more utility from the extra button on their phones? It’s completely reasonable to be frustrated by Samsung selling a phone for a minumum of $750 that isn’t even a finished product. Don’t forget: This is supposed to be one of the best smartphones on the planet. It’s easy to understand why people are so mad about this useless button.